My family has recently gone through several precious milestones. Over the last 24 months, we have had our three oldest children get married. This past January, we welcomed our first grand daughter. To help us capture and preserve these treasured times in our lives, we have taken what feels like a million photos. Many of these photographs will be adorning the walls of our home. One of my favorite ways to preserve my family's memorable occasions is by getting the photos printed onto canvas. I was happy to have discovered Canvas Champ. CanvasChamp does much more than just print photos on canvas. They help their customers create their own personalized art in the most innovative, simple and fun way possible.They're passionate about quality - that’s why they guarantee their canvas prints for life, using only the highest quality materials. 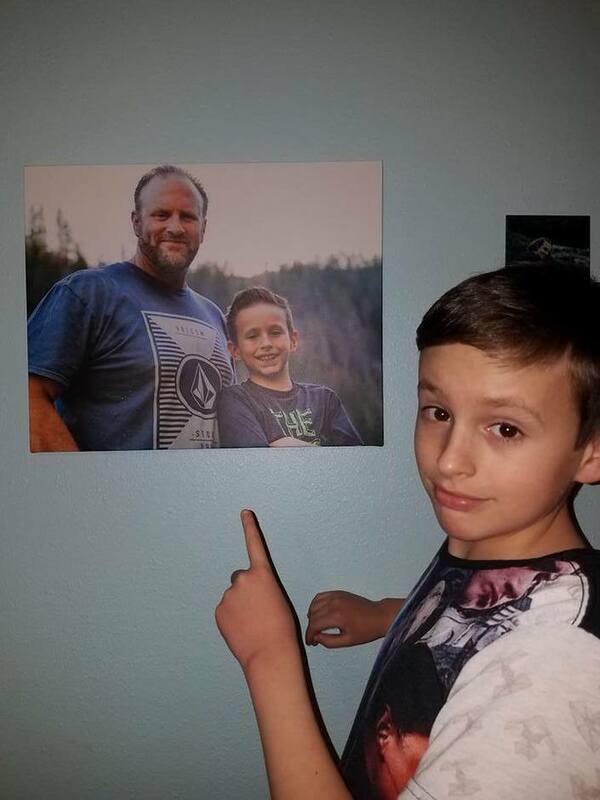 I was given the chance to review Canvas Champ, and so I decided to start with a photo that was taken recently of my youngest son, Braxton, and his Daddy (my husband, Jon). It wasn't a wedding photo, or a family vacation photo, but a special moment between father and son. I love this photo because of how happy my husband and son look. They were hanging out at the lake nearby our home. It was a special father-son day, and my oldest son took the picture. My husband even had dirt on his shirt, but that portrays how hard he plays with his children. He is such a wonderful father, and he gets his clothes dirty when he is having fun. It was so easy to use the Canvas Champ website. All I had to do was select the size I wanted, and then upload my photo. Within a few days, my canvas portrait was delivered to my home. I am extremely pleased with Canvas Champ. I have reviewed several different canvas print companies, and Canvas Champ is the best one I have tried. The photo is so clear, the quality is sharp. The prices are very affordable, too. I have not found better prices anywhere! What more could I ask for? Enter to win! One winner will receive a 16x20 canvas print of the photograph of their choice from Canvas Champ. Want direction on supply chain management? Read the complete interview of Jonathon Karelse on what is supply chain management. I would have one of the grandchildren on it. I have a darling photo of my grandchildren that I would love to make into a canvas print. A picture of my husband and I on horseback on our Anniversary. I would love to have a picture with my parents on it. Would use a family photo from our beach trip last year. I would love to have our family picture of us on vacation in South Dakota put on canvas! Thanks for another awesome giveaway! I just took a picture this past week of my 4 kids together on our porch that I'd like to put on a canvas. 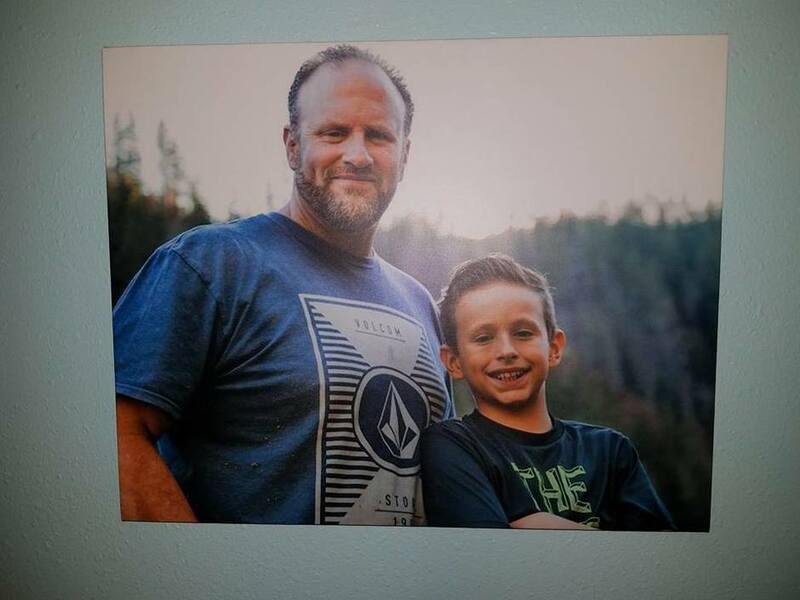 I would love one of these for my son's baseball pictures! I would use a photo taken of my entire family at my brother's wedding. I'd love to get a photo of my daughter climbing a tree on canvas. I would probably choose a family picture from our daughter's wedding. I would to have a picture of my boyfriend and I on a canvas. It would be an ocean scene with a lighthouse in the background. I would like a picture of my children on our last family vacation. I would get a picture of my daughter made. I'd definitely put in our newest family picture! I would love to have a photo of my fiance's little grandson! We took some family pictures during the holidays, and I would love to hae one put on the canvas to hang in our entryway! I have a beautiful closeup photo of my Border Collie with a huge smile on her face enjoying the sunshine. I think it would look gorgeous on canvas. I think I may use a pic of our cat and dog. My youngest son. We have one over the mantle of our oldest. I have always wanted to do my youngest. I would have to get a pic done with my husband and grand kids together..Hopefully we get a nice one tomorrow for Easter. I would put a picture of our family reunion up with this. A photo of my mom, grandma, and I! I would use one of my daughters wedding pictures. There is a picture of my daughter sitting on a dock. She looks so young and carefree and happy. I want this on a canvas. I would like to get one of our daughter's upcoming graduation.